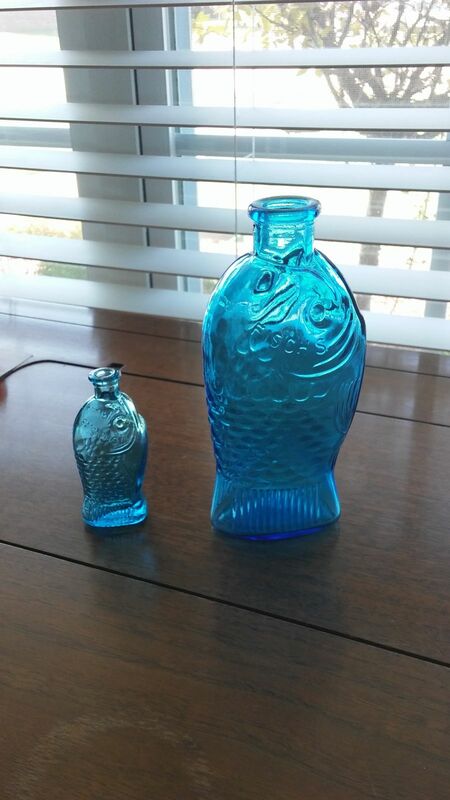 I am wondering about the value of 3" and 6" Fischs Bitters fish-shaped bottles. The only other marking is Made in Taiwan on the bottom of the fish bottle. Detailed with fish scales, eyes, etc. Perfect condition. Don't quit your day job just yet. One will find a little interest for these reproduction / replica type bottles for decorative purposes but they are common and I would say even $10 is a reach most days. indicates that this pre-blown bottle was buried between 1350 and 1375 B.C. fish-shaped bottles are ones patented in 1866 by W.H. Ware. These two 11 1/2"
found in other colors which are considered rare. Lilly & Company one(s) to be produced. be made for the pharmaceutical firm was the 8 1/4" one; it was produced in 1922.
also introduced in 1924. The 6 1/4" bottles was first manufactured in 1927. Wheaton Glass Company) of Millville, New Jersey. filled with cod liver oil was $6.10 per dozen. will be because of their fish shape. 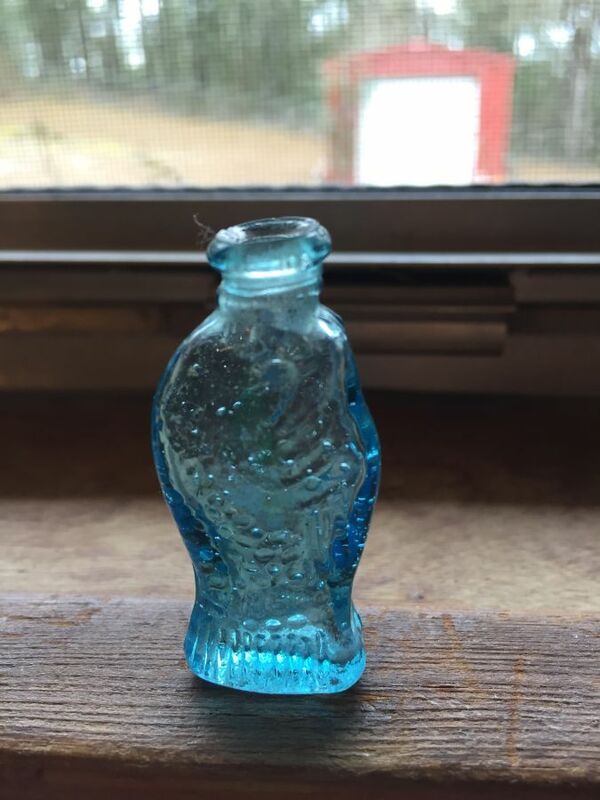 In the early 1970s the Eli Lilly "Cod Bottles"
6 1/4" bottle reproduced by the Imperial Glass Company in Bellaire, Ohio. to nothing -- I purchased two sets for $10 in 1989.
where the machine-made bottle is more valuable than the hand-finished one! them one way or the other. Once again, "they ain't The Fish or Doctor Fisch's bitters bottles but...."
What about this tiny bottle it stands just under 2” has made in taiwan on bottom and biters on one side and what looks to be RSCHS on other side?